You have to give Square Enix points for honesty; Bravely Default: For the Sequel wears its primary intentions right on its sleeve. I mean, it's right in the title: "For the Sequel." 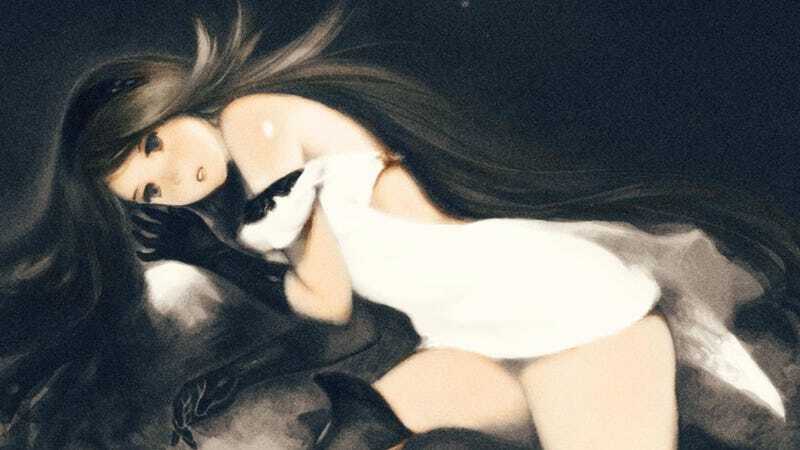 The new updated version of the original Bravely Default: Flying Fairy is currently being developed in parallel to the game's upcoming as-of-yet untitled sequel. However, unlike your standard updated rerelease of a game, Square Enix is looking to use For the Sequel as a testing bed for the sequel (Christ, how many times am I going to have to use that term.). According to producer Tomoya Asano, For the Sequel will incorporate a new battle system that is currently being developed... for the sequel (*sigh*). "With the original Bravely Default, we released multiple playable demos and modified the game according to player feedback," Asano explained in an interview with Weekly Famitsu. "This time, we are hoping to get player impressions by incorporating the sequel's system." While specific details on the added sequel system are still sketchy, Asano has stated that it "removes the concept of a turn-based [system]." For the Sequel will also have a graphical overhaul, added events, and some more tweaks to the system to make gameplay smoother and more user-friendly. A bargain-price download version is also scheduled for players who own and have already played the original Japanese game. Owners of the original will also be able to import their existing save data into the new game through Square Enix's member site. Furthermore, there will also be customizing features that will allow players to choose what aspects of their game data (Exp, jobs, money, items, etc.) to carry over, as well as system editing features, used to change variables such as enemy difficulty and encounter rates. As for the sequel in question, all Asano could say about it was that "It will be a story that takes place in Luxendarc, like the previous game." While the unnamed sequel has yet to get a release date, Bravely Default: For the Sequel will be out in Japan on December 5th. The Western release of Bravely Default is set for some time next year. A handy tip for those of you who own a Japanese 3DS: For the Sequel will have English voice and text. People in the west have had to wait over a year for this game. Soon, they will be able to enjoy it in its updated, definitive version while they wait – wait for it – for the sequel.